These beautifully crafted stamps are wood mounted and laser etched to ensure the perfect impression every time. Each stamp impression measures 1 7/8” x 1 7/8”. Choose from any of our designs or upload your own logo or unique art. 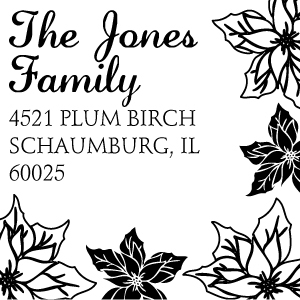 Add an elegant touch to your letters, cards, invitations, and more. Our custom stamps are laser engraved rubber, which guarantees a superior impression every time. Your design is also laser etched on the wood block. 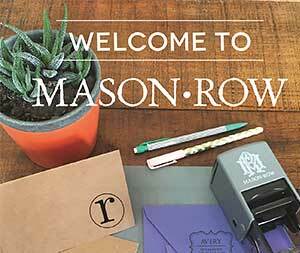 Each Mason Row wood mount stamp comes with a black ink pad. Acid-free, non-toxic, fade resistant, water-based dye inks from designer Tim Holtz. The 2" x 2" pads are made with a high raised felt pad for easier use.